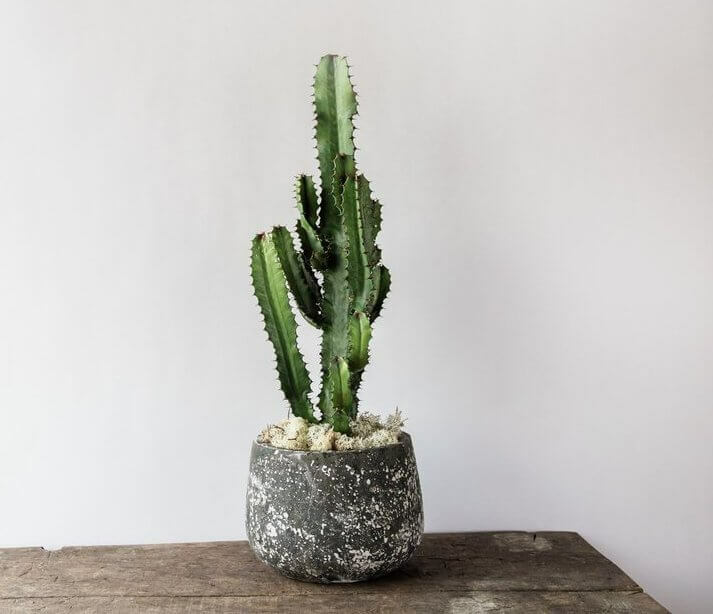 Euphorbia tetra is an ornamental succulent which can be treated in a similar way to a cactus. It has a thick, central stem, that stores water. The stem is ribbed and edged with short spines. This plant contains sap which is poisonous and an irritant. Avoid getting into your eyes or mouth and handle with care. It prefers full to partial sunlight. Provides good sunlight during at least 3-5 hours of the day, and turn it regularly so that your plant doesn’t begin to grow lopsided. 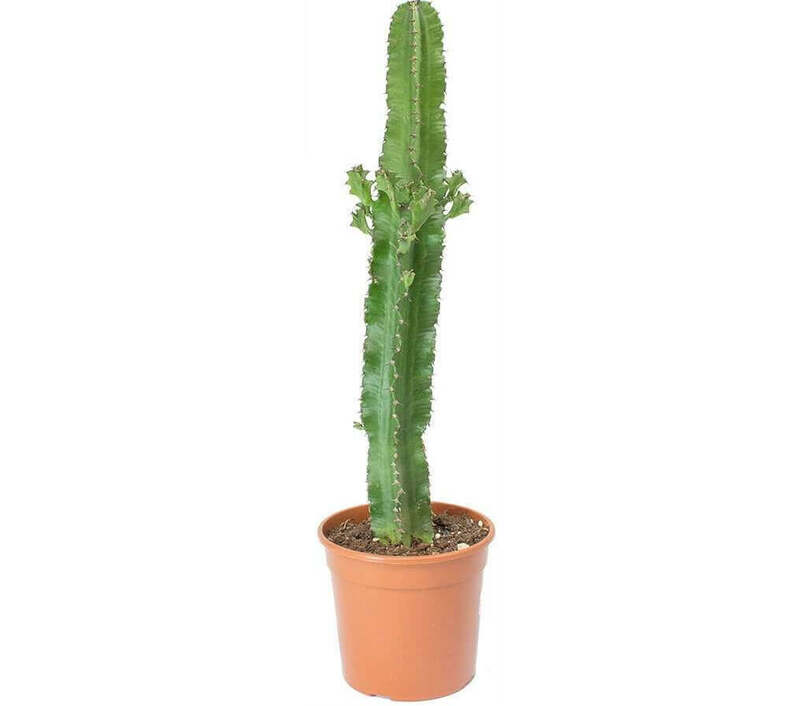 It grows well in well-draining, gritty soils or cactus potting mix. You can allow the soil to dry out between each watering. Before watering the cactus check underneath the pot through the drainage holes to see if the roots are dry. If so then add some water. Do not water too often to prevent overwatering, that can potentially kill it off. It prefers an optimal temperatures of 60 degrees Fahrenheit – 85 degrees Fahrenheit / 16 degrees Celsius to 29 degrees Celsius. Fertilize every two weeks with a diluted balanced liquid fertilizer during its growing season in the spring and summer. Avoid fertilizing your plant during the fall and winter months. Euphorbia tetra can be easily propagated by cuttings. Take cutting in spring, which needs to be dried out for a couple of weeks before potting. Euphorbia tetra may be susceptible to mealybugs, scale insects, occasionally spider mites.